No, not five years of marriage. Five years since I stopped on my way to Northern California (headed home for quarter break) to meet a man I'd found on OKCupid for lunch in Culver City. And a quick lunch turned into a three hour conversation and the unfamiliar feeling that capital "D" Destiny had smacked me across the face. So why a wedding photo? Well, when we got our wedding photo proofs back, my dad really liked this photo. And I had to ask, "Okay, yeah, I like it too, but I would have thought you'd pick one where our faces show, you know?" And that's when he said something very profound about how, to him, the photo represented a young couple at the start of their life together, ready to walk through that gate and into the wide world beyond. 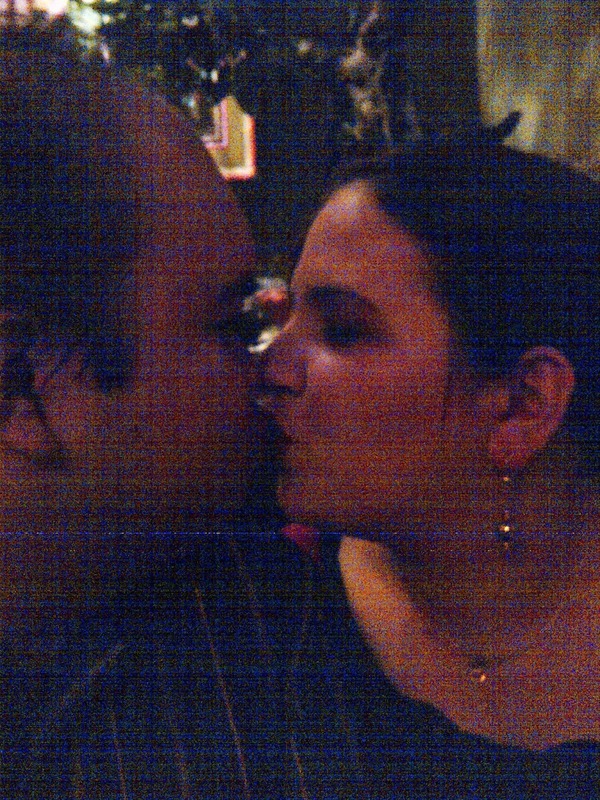 It was true in September 2008 when we first met and I had that thought of, okay, he might be it. It was true just a few months later, in December, when the Man Now Known as Papa Beast took a road trip to San Francisco with some buddies and hopped across the bridge to meet my folks for the first time. When dinner was over, my mom pulled me aside -- she'd gotten the same feeling, the same knowing that this was it, he was the one. It was true in August of 2009, in the "stretching room" of Disneyland's Haunted Mansion, when the MNKPB got down got down on one knee when the lights when out and asked me to marry him when the lights came back on again. And it was more true than ever in May of 2010, when we pledged our lives to one another before God, our family, and our friends. And it's still true now, I think, as we head down the road to adoption together. It hasn't been the smoothest road on the map -- indeed the map itself seems to change as countries close and open and the news seems uncertain. Even when the path is clear, it appears to wind, and we know that it could be shrouded in mist at any time. But the truest thing of all is that I wouldn't want to walk down that road with any other man.